Apple has announced a variety of upcoming launches recently, and now, Apple fans can add another item to the list of releases to look forward to — an iPad version of Microsoft Office. 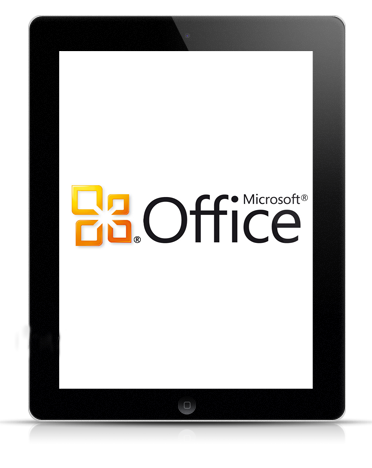 The Microsoft Office Suite app for iPad has been completed by a design team and will soon be sent to Apple for approval. A prototype of the software showed that the interface resembles both the OneNote app and a bit of Metro, which is the new design for Windows Phone and the upcoming Windows 8 operating system. There currently is no Microsoft Office Suite app being created for Google’s Android mobile operating system, but Apple iOS owners can look forward to the app as soon as the coming weeks. Apple fans also have other new releases to look forward to in 2012, such as the iPad 3’s debut during the first week of March, the launch of OS X Mountain Lion, and iTunes/App Store redesigns.